the pittance the government chooses to give them. Compulsory national superannuation was initially proposed as part of the 1972 Whitlam initiatives but up until the 1980s superannuation was solely the privilege of predominantly male professions, clustered in the public sector or available after a long qualifying period in the private sector. The Coalition has steadfastly opposed every increase in compulsory superannuation since that time, whether it be from 3% to 6%, or the 6% to the current 9.25%. In the 1995 budget, Ralph Willis unveiled a scheduled increase in compulsory super from 9% to 12% and eventually to 15%. It was to be one of the Keating government’s major legacy reforms. So why don’t we have 15% superannuation now? Because John Howard and Peter Costello nixed it in the 1996 budget barely six months after it released its policy, insisting it was too expensive. They didn’t “vary the mechanism” so much as halted it. Significant changes were also made to superannuation policy in 2007.
their tax-free superannuation to top up their pay. People were allowed to transfer up to A$1 million into their superannuation accounts before the June 30, 2007, after which an annual maximum of A$150,000 of after-tax contributions could be made. The effect of this change in the rules was enormous. in the June quarter of 2006. June 2007 was the first time in Australia that member contributions exceeded employer contributions. The Coalition’s superannuation policy has drawn mixed reviews, with several major industry bodies expressing disappointment at the policy for being unsubstantial. earners would adversely impact Australian workers. ASFA chief executive Pauline Vamos said that the majority of Australian voters would be disappointed that the Coalition’s only plan for superannuation was the promise of more reviews and delays. to keep Labor’s higher superannuation guarantee if a Coalition government inherits it. her understanding such issues should go to the party room. Mr Abbott said the party room had the right to change policy at any time. But there was no rule – and there should be no expectation – that every policy decision be brought to the party room. So you would cut all those initiatives? Absolutely, you can’t afford them. So there it was in black and white – the Coalition was cutting the increase in the super guarantee. Would be nice if Nine News had checked the facts…Coalition remains committed to keeping increase in compulsory superannuation from 9-12%. earners sets the tone for the Coalition’s policy on retirement savings to be announced in coming months. while scaling back government-directed super contributions. The Coalition seems to be struggling with the concept of superannuation. freezing the Superannuation Guarantee increase for 2 years. Labor went to the election promising a 15 per cent tax on superannuation pension earnings over $100,000. 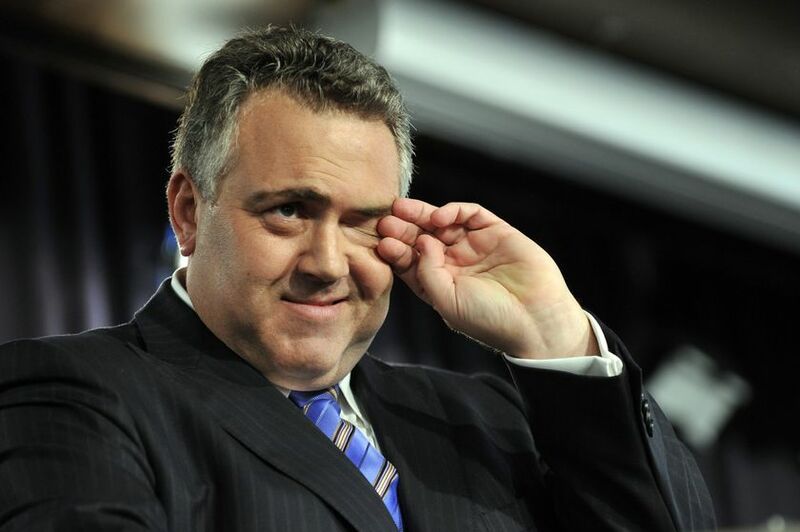 Treasurer Joe Hockey said on Wednesday the policy was too complex and it would be scrapped. scrapping of the 15 per cent tax. With the rise of influence of the IPA within our current government’s policy making, this article by John Roskam from 2012 should sound warning bells to us all.